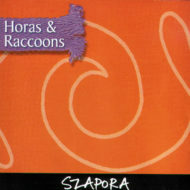 Regular readers may recall my review of Szapora’s first offering ‘Hora’s & Racoons’ of which I was full of praise and excitement. Their latest, Doina’s & Dragons’ is even better. 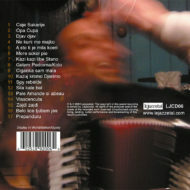 The group has developed a musical maturity and command which has placed them firmly at the top of the musical ladder amongst the European Gypsy bands. This is enticing stuff. Driven, relentless rhythms underneath towering melodies and improvisations. Boy, can this band play. Garrick is brilliant on violin. His flawless technique and superb tone combined with his limitless – clearly spontaneous – musical innovations left me feeling elated. However, it’s band leader Dave Kelbie’s mandolin and guitar work which underlines the band’s every turn. When he solo’s – much too rarely in my opinion – he does so superbly, as with the mandolin on the Statman classic – ‘Flatbush Waltz’. Kelbie’s tone is light and airy and a joy to hear. It’s worth mentioning that Kelbie is not a mandolin player and he doesn’t sound like one. His unorthodox technique and approach is prominent on two tracks here. The a fore mentioned, and a dance from Serbia – ‘Estradno ora’ where, listening carefully in the curious mix, you will catch clips of a mandolin part worthy of a player who’s guitar has long since been discarded. The whole band is worth a mention. Multi-instrumentalist Dylan Fowler provides excellent rhythm and solo work on Guitar, Mandocello, and oboe. Other new boy Eddie Hession on accordion puts not a foot wrong and spars with Kelbie and Garrick on ‘Estradno ora’. Bosnian singers Tea & Mirella Hodzic are the icing on the cake for this heady mix of Eastern European drama. 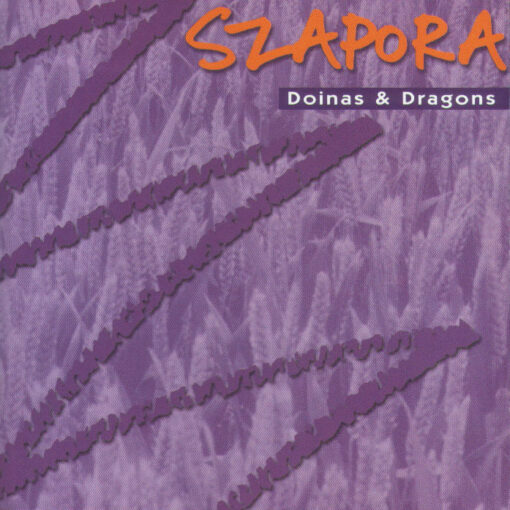 Szapora are a group of British musicians augmented by a couple of singers from former Yugoslavia, Mirella and Tea Hodzic, who show an unimpeachable familiarity with the music of south-eastern Europe. The sound is led by violin and accordion (played with real authority by Christian Garrick and Eddie Hession respectively), backed up by guitar and bass and a not-too-obtrusive oboe. Most of the material hails from Romania, Hungary, Macedonia, Bosnia and Bulgaria, with a couple of Russian cabaret favourites, and one original – the opening track, which is very much in the Romanian style. There is also a charming transformation of mandolin wizard Andy Statman’s ‘Flatbush Waltz’, which they somehow manage to make sound as though it was from a late-night Hungarian café instead of some Appalachian. 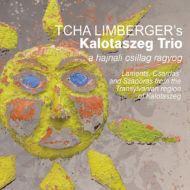 The well thought-out, imaginative and precisely played arrangements offer more than a touch of fun (a startling nod in the direction of Vaughan Williams in the middle of a Bulgarian dance, for example) and lift this CD out of the run-of-the-mill company of so many Western bands that play this music. 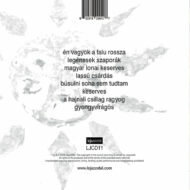 The singers, too, make a real contribution, especially on the two Bosnian songs. The band make no attempt to imitate a local sound but instead reinterpret it in their own way, and very successfully too. This is certainly not a grim-faced homage to a folk tradition daintily preserved in aspic, but a good-hearted romp through a bunch of enjoyable tunes – with some moments of real emotion. 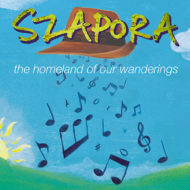 Szapora is an English band completely devoted to the Gypsy music of the Balkans. 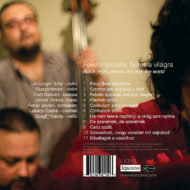 Apart from the two singers, Tea and Mirella Hodzic, all members are English. That's almost unbelievable given the authenticity that shines through their music. The group's guiding light is guitar player Dave Kelbie who is also the creative brain behind the Le Jazz project with Fapy Lafertin. 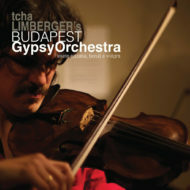 Those who like gypsy folklore will find this CD a treat. It doesn't offer some csardas music (meaning newfangled Hungarian dancy numbers), bar for one song, but it offers the real thing, the real music of Southern Europe's gypsies. Wistful love songs interchange with fast dance tracks, the accordion and the violin do the hard work and the mandocello, oboe and mandolin land a hand. An impressive production, which puts across a lot of emotions. An excellent start for all those who want to have a go at delving into the gypsy folklore.